As of 2016, tourism accounted for an estimated 2.6% (CHF 16.8 billion) of Switzerland's gross domestic product, down from 2.6% (CHF 12.8 billion) in 2001. A photochrom postcard of 1890, depicting the Zmutt Valley with Mischabelhörner group, Valais. Jungfrau railway (with Eiger in the background), one of the major tourist attractions of the High Alps (1 million visitors in 2015 (up from 0.866 million in 2014). The Jungfraujoch railway station is the highest in Europe, at an elevation of 3,454 metres (11,332 ft). Official statistics of tourism were planned since 1852, but were only realized from 1934, and continued until 2003. Since 2004, the Federal Statistical Office had discontinued its own statistics, but collaborates with Switzerland Tourism in the publication of yearly "Swiss Tourism Figures". In the year 2011 as a total number of 4,967 registered hotels or hostels, offering a total of 240,000 beds in 128,000 rooms. This capacity was saturated to 41.7% (compared to 39.7% in 2005), amounting to a total of 38.8 million lodging nights. 14% of hotels were in Grisons, 12% each in the Valais and Eastern Switzerland, 11% in Central Switzerland and 9% in the Bernese Oberland. The ratio of lodging nights in relation to resident population ("tourism intensity", a measure for the relative importance of tourism to local economy) was largest in Grisons (8.3) and Bernese Oberland (5.3), compared to a Swiss average of 1.3. 56.4% of lodging nights were by visitors from abroad (broken down by nationality: 16.5% Germany, 6.3% United Kingdom, 4.8% United States, 3.6% France, 3.0% Italy). The major airport of Switzerland is at Zurich, main railway connections are to Geneva, Zurich and Basel. The main connection across the Alps is via the Gotthard Road Tunnel and the Gotthard Rail Tunnel. The new Gotthard Base Tunnel, opening in 2016, will improve the rail connection. The most visited Swiss tourist attractions are first, the Rhine Falls, second, the Berne Bear exhibit (both without entrance fee), and third, with over 1.8 million paid entries: Zoo Basel. The Roman amphitheatre in Augusta Raurica. Lake Constance (Bodensee), cantons of Thurgau, St Gallen and Schaffhausen. ^ bfs.admin.ch, bazonline.ch 23 February 2018. ^ Switzerland Tourism, "Swiss Tourism in Figures - 2007 PDF Archived 2012-03-31 at the Wayback Machine"
^ Tourism, Federal Statistical Office (Switzerland) (page visited on 7 May 2012). ^ SECO Gross domestic product - quarterly estimates Archived 2010-09-23 at the Wayback Machine (page visited on 7 May 2012). (in French) Christophe Clivaz, Tourisme d'hiver, le défi climatique [literally, "Winter tourism, the climate challenge"], Presses polytechniques et universitaires romandes, collection "Le Savoir suisse", 144 pages, 2015 (ISBN 9782889151516). Tourism in German, French and Italian in the online Historical Dictionary of Switzerland. 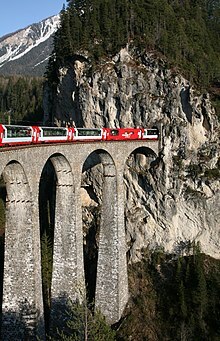 Wikivoyage has a travel guide for Switzerland.